With so many activities on Kauai, it can be hard to know where to start. Fortunately, with Kalapaki Beach serving as home base for Owners at Timbers Kauai Ocean Club & Residences, the Kauai Beach Boys can help point you in the right direction. 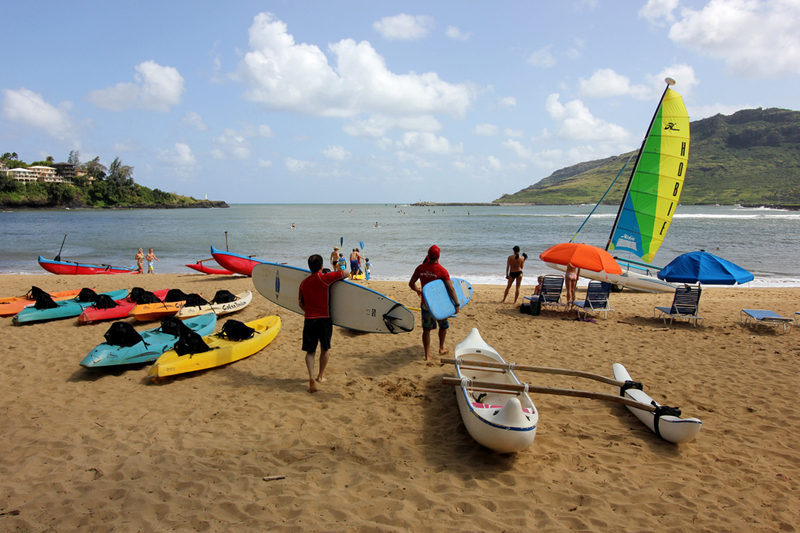 Since 1983, the Kauai Beach Boys have been teaching surf lessons, and have since expanded to stand up paddleboard (SUP) lessons, canoe rides, snorkel and kayak rentals, and anything else you could hope to do on the ocean. When you take a lesson with the Kauai Beach Boys, you learn more than how to paddle or surf, you learn about the true spirit of aloha. The current members of the Kauai Beach Boys look to the original, Percy Kinimaka, for inspiration. “If someone caused trouble for a visitor, Percy was quick to step in and help, extending his caring spirit to anyone—it didn’t matter if they were local, from a neighbor island or the other side of the world,” recalls Percy’s son, Kaupena, in an interview with My Hawaii Traveler. For the Kauai Beach Boys, a lesson isn’t about teaching someone a new hobby, but about teaching someone a new way of life—the aloha way of life. The spirit of the Kauai Beach Boys inspired the team at Timbers Kauai to seek out this relationship. Eric Cucchi, Timbers Kauai Director of Operations, searched island-wide looking for this partnership. Both organizations’ commitment to the same values of family, shared experiences, and authenticity makes the partnership between Timbers Kauai and Kauai Beach Boys a perfect match. Kauai is unlike any other island, and ownership at Timbers Kauai is effortless, with a full range of five-star services that reconnect you to the family and island you love. As an Owner at Timbers Kauai, you’ll enjoy access to the beach club with services provided by Kauai Beach Boys, who make the beach experience just as special. Comfortable lounge chairs, luxurious towels and deluxe umbrellas await your arrival to Kalapaki Beach in anticipation of the day’s adventures. Learn to surf, canoe, SUP or perhaps enjoy a family snorkel in search of the elusive humuhumunukunukuapua`a, the Hawaii state fish. Maybe taking time to talk story with the KBB adventure ambassadors or a leisurely sunset sail is more your speed. 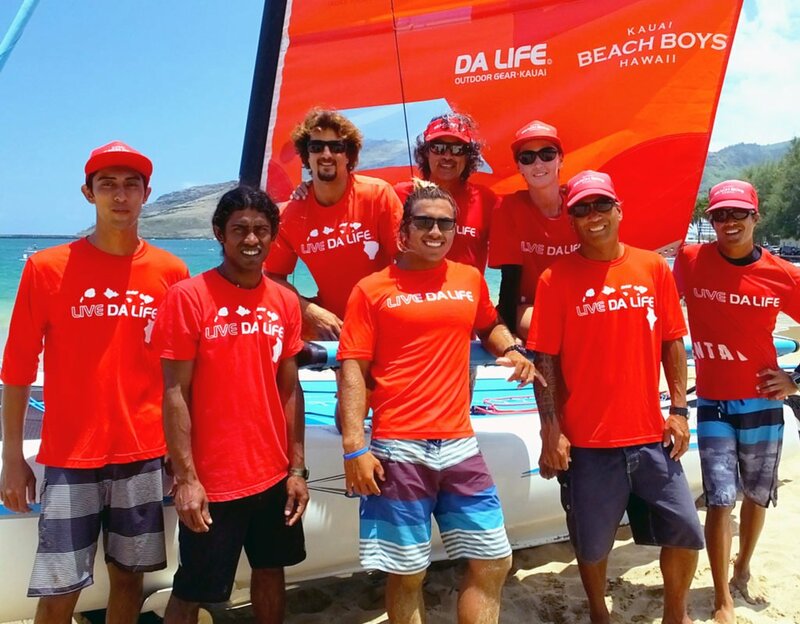 The core staff at Kauai Beach Boys – Kamal, Yuliya, Louis, Nelson, Max, Krishan, Alika, Kai, Marlo, and Olivia – is also excited about this partnership. “Timbers really understands that life needs to be enjoyed. They are authentic to the location, they thrive on integrity, they bring passion to their work, and they take responsibility for change—good positive change,” said Kamal. This attitude carries over to Timbers’ Owners, who report feeling refreshed and enlightened by their experiences with the Kauai Beach Boys. One guest summarized the magic of Kauai Beach Boys with the comment, “We talked about balance on the board (and in life).” Kauai isn’t simply about relaxing, it’s about reconnecting to what’s most important. Opening Spring 2018, we are currently inviting guests interested in ownership at Timbers Kauai to come enjoy the ocean with Kauai Beach Boys and experience our aloha way of life. Contact us to learn more about our Guest Visit Program or if you happen to be on-island, stop by to say aloha and meet the staff at Kauai Beach Boys. Just let them know that you are looking to join the Timbers ‘ohana (family) and they’ll take care of the rest.